What fun! 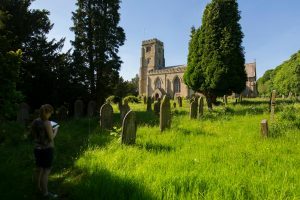 I would really encourage every church to get involved with Cherishing Churchyards week – a week of activities in which the whole community can come together to enjoy heritage, biodiversity, and good company (and, in our case, plenty of cake!). The week ran from the 3rd-11th June and is organised by Caring for God’s Acre, a national charity fronted by the Prince of Wales. 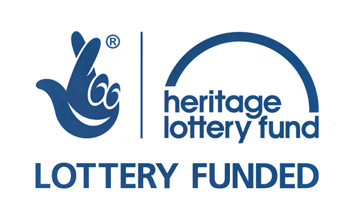 The aim of the week is to educate and involve people in the heritage and wildlife of churchyards. Monday – we had the children from the local primary school to visit and we were looking at which direction the graves were facing in the churchyard, and the reasons behind it. This led to a spot of archaeology involving putting Mr. Bones (the RUBBER skeleton) back together. History, biology and geography are just some of the cross-curricular links for this activity. We had children of all ages attend in different groups throughout the day, with the activity tailored to the different ages, abilities and interests of the group. This activity engaged, excited and provided them with new knowledge, a great success! Tuesday – bug catching!!! It was rather wet and windy, but luckily stopped just as the children arrived – perfect bug catching weather! Joe, our heritage learning officer, explained about catching bugs carefully (so as not to squish them), and gave tips on the best places to find them. The children took the equipment and collected a range of bugs – grasshoppers, ants, snails and spiders to name a few. We took macro photos on the laptop which looked so cool! In the afternoon a scything workshop was led by Steve. This is a skill I didn’t even know existed – but I am so glad I got the opportunity to have a go! It is definitely a skill that will be put to use in our conservation area. I really encourage people to give it a go! It is so satisfying. Wednesday – Ripon Community Link came and we tried to eradicate the pesky fireweed from our conservation area. We did a grave hunt – they had to search for symbols on the graves, and Mr Bones was hiding at the base of them! They then put Mr Bones back together and, of course, enjoyed tea and cake in classic St. John’s style. Thursday – MOTHS! We had some lovely moth experts join us, who kindly came on Wednesday night to set the moth traps up. On Thursday morning they found they had managed to catch over 200 moths, and 70 different species, which we explored with the children from the local school. I never realised so many moths existed – never mind looking as beautiful as they did (-yes, it is possible for a moth to look beautiful). Friday – SUN! We were extremely glad to see the sun after such a wet and windy week. Again, with the children from the local school, we surveyed the graveyard and took rubbings of graves to add to our spreadsheet. A fantastic week was had by all. As a trainee primary school teacher who was volunteering for the week, I learnt lots about the possibilities and advantages of learning outside the classroom. And as a member of the church it was great to see so many people, both adults and children, enjoying the church and the churchyard – it really brought the community together! A sure sign the week had been a success was when children brought their parents to look at what they had been doing – after school hours! Get involved! See you all next year.